I wrote an article for Zymurgy, the magazine of the American Homebrewers Association, that was published in the November/December 2018 issue. 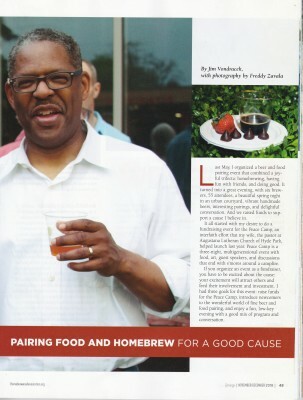 Last May, I organized a beer, cheese and food pairing event that raised some funding for my congregation's Peace Camp and the article is focused on the event, beer and food pairings, and using the homebrewing hobby to do events to support projects or organizations you believe in. 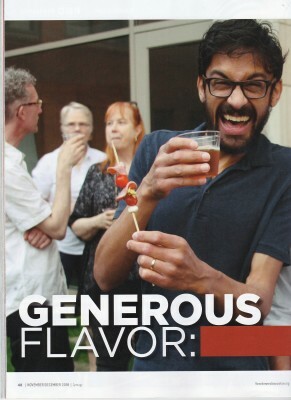 If you're a member of the AHA, you can view the article (and the entire magazine) online. If you're not a member, I've created a PDF of the six page spread in the magazine and you can download it by clicking the button below. You may need to use the zoom function on your PDF viewer or browser in order to read the text.